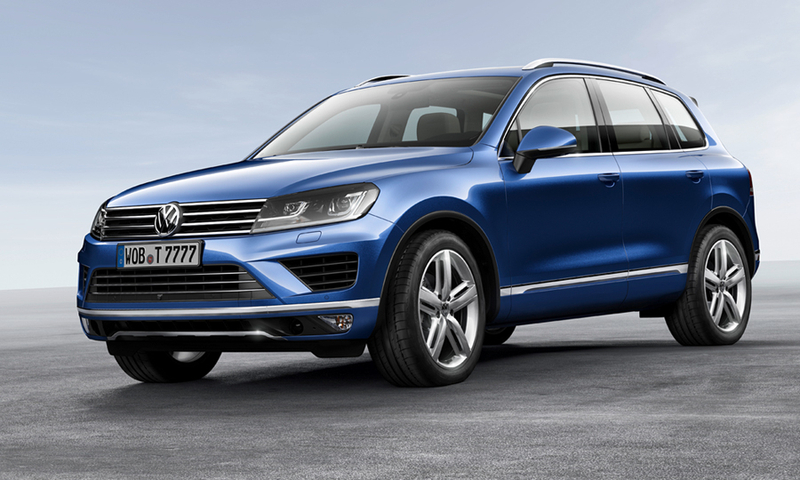 Volkswagen has refreshed its premium SUV. 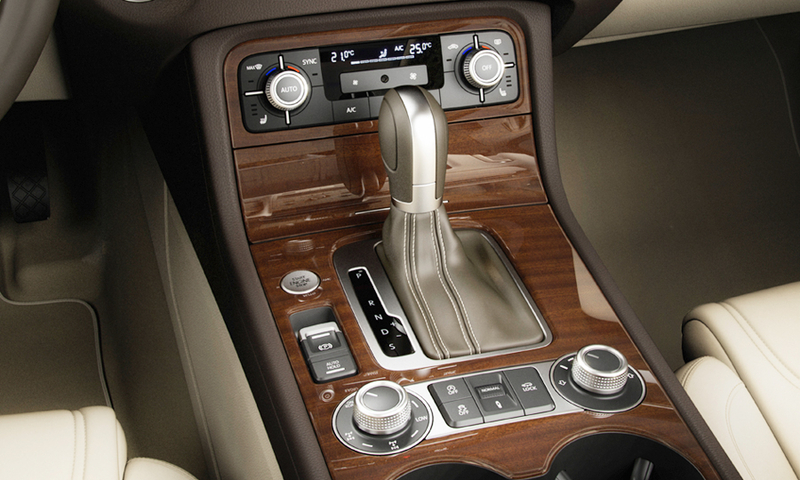 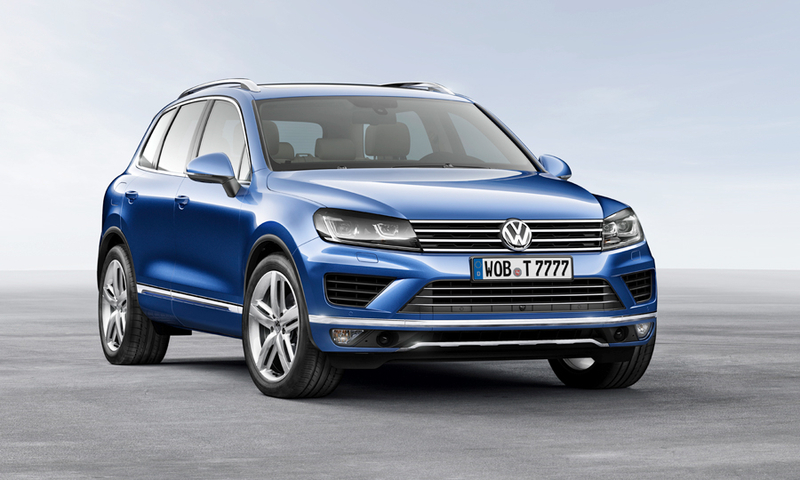 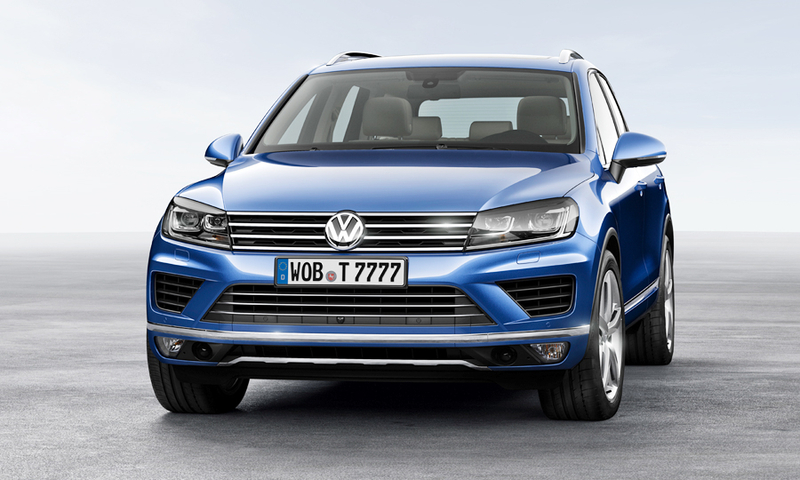 The front-end design of the Touareg features larger headlights (now bi-xenon as standard across the range), a deeper new radiator grille with four instead of two horizontal fins and a reprofiled bumper. 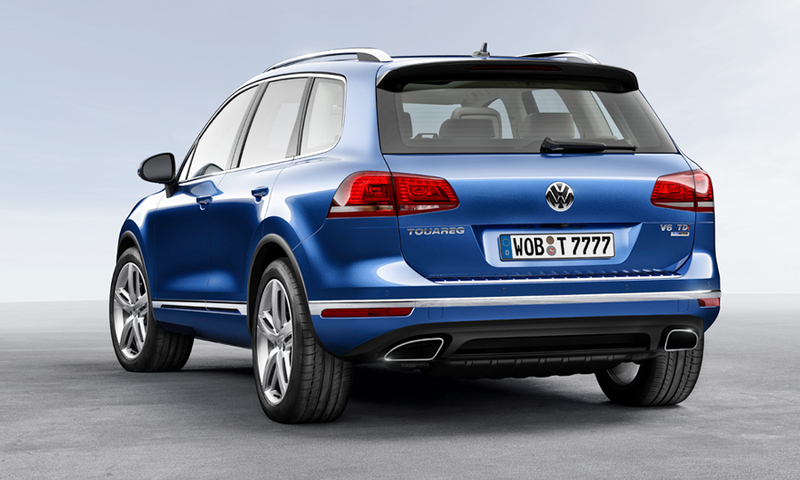 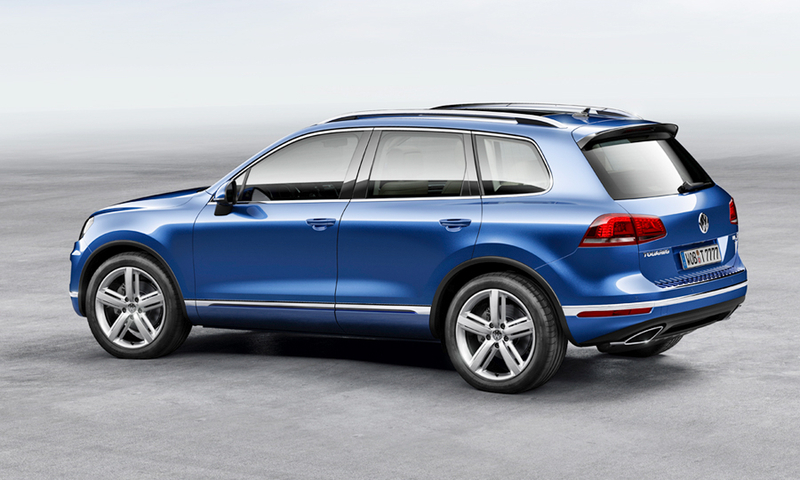 At the rear as at the front, the redesigned bumper lends the Touareg a wider look than before, with a new rear diffuser between the twin tailpipes and LED rear foglights integrated in the bumper.